Egg Bhurji is one of the favorite dish of all egg lovers and is absolutely quick & easy to prepare. This dish almost goes well with anything from sandwich filling or as side dish with Indian breads for breakfast or brunch. This is an fantastic recipe of making scrambled eggs along with tomatoes, onions and flavored spices. Try this tasty and healthy dish with this easy video recipe. Slice onion, tomato, green chilly and coriander leaves. Add milk to mixing bowl. Add turmeric pwd, red chilly pwd, turmeric pwd, pepper pwd, salt and garam masala pwd. Break eggs and drop into the bowl. Beat the eggs until the masala gets mixed. Add beaten egg masala and stir in high flame. Keep stirring until the eggs are scrambled. 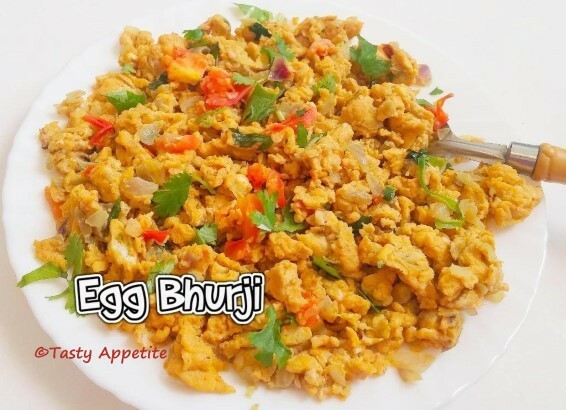 Yummilicious spicy egg bhurji is ready.